The most critical component of esophagectomy is the preparation of the esophageal replacement conduit and completion of the esophagogastric anastomosis. The preserved vascular perfusion and the functional motility of the esophageal conduit are essential for a successful postoperative outcome and good quality of life for the patient. The typical esophageal replacement conduit options that are available for esophageal replacement include the stomach, colon, and jejunum. Postoperative conduit necrosis is a potentially life-threatening event; therefore, the recognition of the associated clinical signs and symptoms are crucial. The appropriate management of conduit necrosis includes debridement, resection of the esophageal conduit, esophageal diversion, and staged esophageal reconstruction. 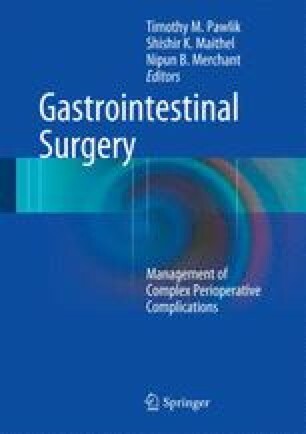 The stomach is the most commonly utilized esophageal replacement conduit in the current practice for patients undergoing esophagectomy.